Rated 5 out of 5 by milliekoz from can't play any more Loved the game. But when windows XP was no longer supported, I had to get a new computer, windows 8.1. game only runs on XP or Vista 7/8. Finding that problem with quite a few of my older games. Rated 5 out of 5 by dinamom from Not just for kids. I love this little game and the little turtle. 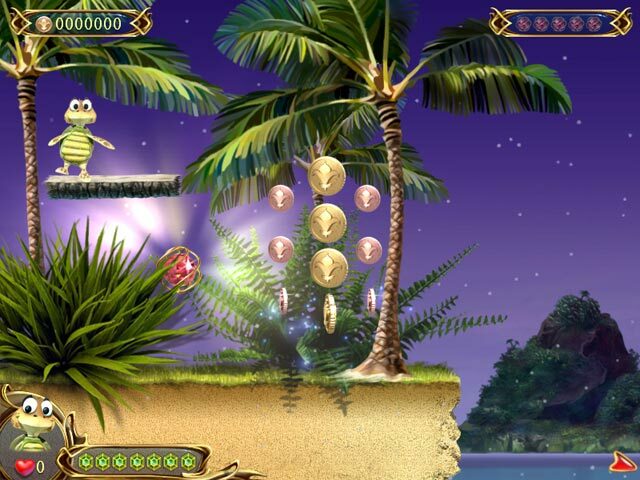 The gameplay is similar to "Scuba Aruba", which is also available from Big Fish. Although others have said that it is too challenging or there were some sort of technical problems...I did not encounter those issues. 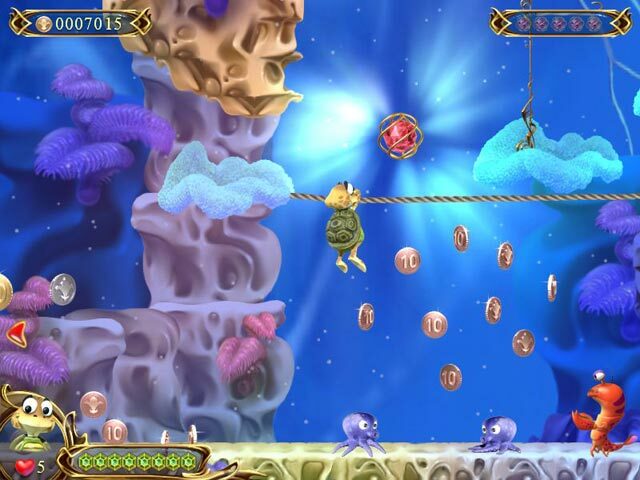 You may not be able to get all the coins every level, but it is sure fun trying. I purchased this game some time ago, but I am going to repurchase it because it was so much fun. I used to also have "Turtle Odyssey" as well and it was great fun. Another similar game here at Big Fish is "Turtix" which is also very cute and fun. Other games I recommend for simple fun are "Supercow" and "Jumpin' Jack". 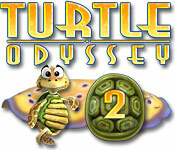 Rated 5 out of 5 by Ginger997 from My Turtle Odyssey 2 Review This game is extraordinary. 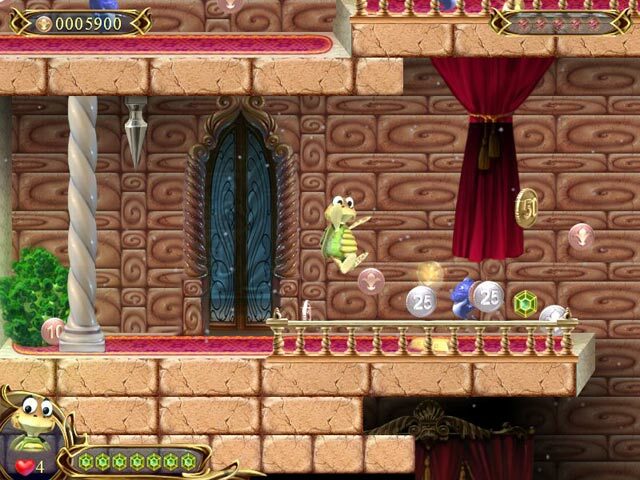 An action-filled family-friendly platform game, all in one! It's a lot of fun. Each level, unique, carefully detailed. Bonus levels, and occasional changes to the levels makes it addictive, and not the kind of game you play for a few days & completely abandon. Rated 5 out of 5 by kipperfillet from Fun Hidden Object Last played this game three years ago and it was as good as I remembered it. Rated 4 out of 5 by tacomataz from Good Game I really enjoyed this game. The little turtle is cute. There were a couple of places that I had problems with getting some coins, but on cuteness alone I will buy this game. My daugter ,the worlds pickiest gaem player, she even liked it. Rated 4 out of 5 by timtim135 from good family game I recently downloaded a free trial of Turtle Odyssey2 for my neice, she really enjoyed it!. i then purchased this game with my free coupon i had, she was really glad a got the game. now, even i play it once in awhile! Rated 4 out of 5 by Jacqueline618 from Kinda hard for my son and me; have to repeat whole level if you fail I like this game. However, you have to repeat the whole level if you run out of "lives". In addition, there are too much action for my son, and even me, which made this game way too challenge for amatures.